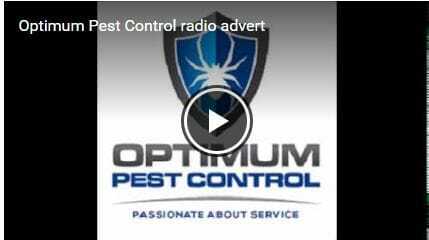 Our SERVICE WARRANTIES on pest control treatments are amazing - with a 12 MONTH SERVICE WARRANTY on INSIDE cockroaches, INSIDE ANTS, and webbing spiders!.... as well as silverfish. WE DO come back FREE OF CHARGE to fix any of these warranty issues, over the WHOLE YEAR! Only a handful of companies on the coast to have this accreditation from the manufacturer - why? Because we do everything CORRECTLY, professionally, we don't cut corners! We can issue the manufacturer's $100,000 timber replacement warranty for COMMERCIAL & STRATA properties, and $250,000 for general residential homes! Exterra is THE best termite baiting system in the world - It is also the ONLY scientifically proven baiting system and is used all over the world Australia, Europe, Asia. We are approved BAYER Timber Pest Inspectors. We are active members within the Gold Coast Central Chamber of Commerce. This is the peak body for representing businesses and business people from Burleigh, Robina, Varsity Lakes, Surfers Paradise, Broadbeach, Nerang and surrounding areas. This allows us to connect with a large range of industry professionals in the area. We are active members within BNI Australia. BNI is a business networking organisation with 6,600 active chapters and 170,000 members in 58 countries, it is the most successful business referral organisation of its kind.